We are looking for a few great people committed to building a healthy future. 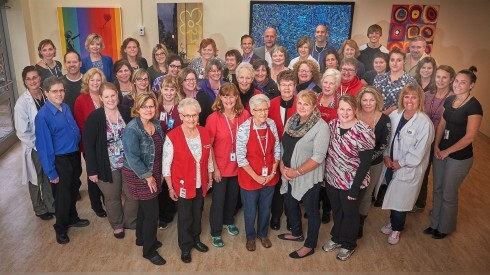 Kemptville District Hospital is currently ranked as one of the top hospitals in Ontario for employee satisfaction. We are looking for skilled, talented and dedicated individuals to join our team. Our current opportunities are below. Watch the video we made to celebrate the launch of our orthopaedic surgery program. The video demonstrates how the people at Kemptville Hospital embraced the opportunity to be a different kind of small hospital, and how it felt to be engaged in meeting a system-wide challenge. Here is a list of our current employment openings. Click on any job title for details. 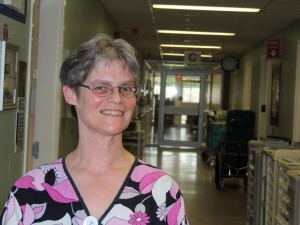 I give to KDH because..
…Kemptville District Hospital belongs to all of us in this community. A community needs a hospital and hospitals need up to date medical equipment in order to meet the healthcare needs of the people they serve.